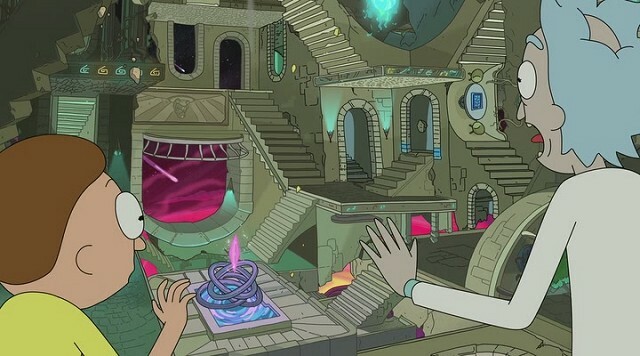 Rick and Morty is an American adult animated science-fiction sitcom. 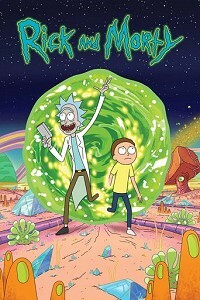 The series follows the misadventures of cynical mad scientist Rick Sanchez and his fretful, easily influenced grandson Morty Smith, who split their time between domestic life and interdimensional adventures. 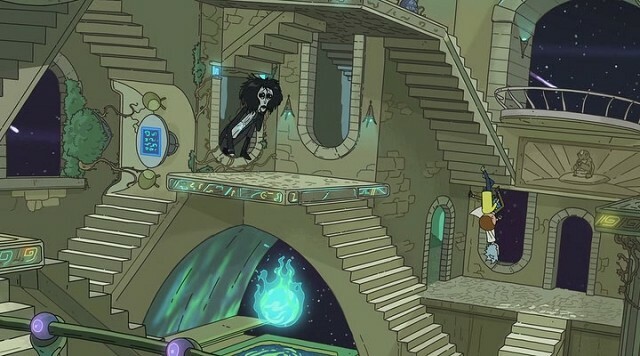 In season 3 episode 8 they come to place, which was inspired by Escher's artwork Relativity with gravity paradoxes. If you have images of impossible figures that are not published in the site, please send them to me.